I am sitting on the precipice of a huge waterslide. The view down is obscured by the fact that the drop on the slide is so steep that you can’t even see where the slide ends. The water is rushing by. The people behind me are waiting to take their turn. The water slide operator (who has this job??) is smiling at my fear. And my husband is egging me on. We are in the Bahamas at the Atlantis resort on a MUCH anticpated vacation for the two of us. I can’t do it. I thought I was brave enough. I was all puffed up and ready to go. No problem…Seriously?! Okay breathe. You got this. 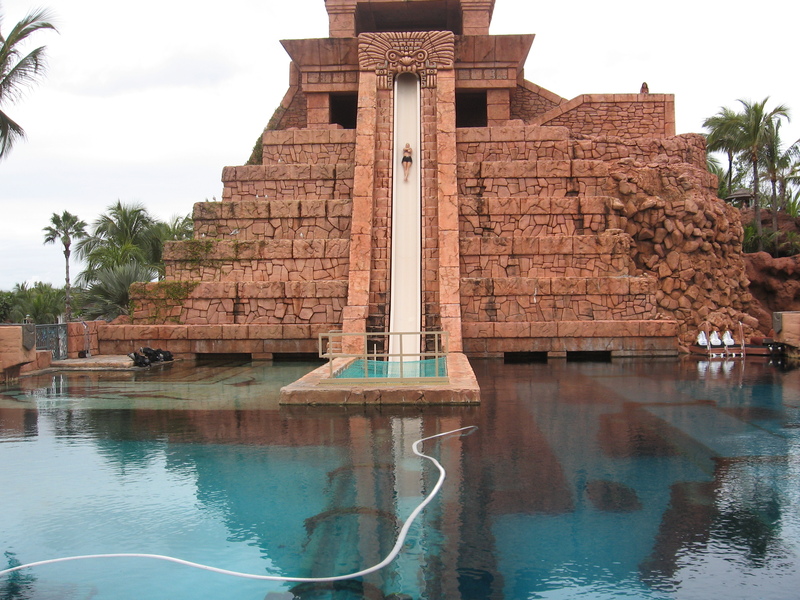 Afterall, this slide is called the Leap of Faith. And it was the ONE thing you swore you would check off on this trip. So what is happening? You are finally here. THIS is the moment. You are frozen in fear. Like the woman training for her first marathon with doubts about the experience. Will she finish last? Will she injure herself in some way? Or the friend on the precipice of a divorce from an abusive relationship. Can she take that first scary step? How will her children cope? Is she doing the right thing? These forks in the road occur all the time in daily life. For each woman who faces them there is the inevitable moment of feeling all alone. When the urge to turn back, stop in your tracks or take your ball and go home is just too strong. Well what happened was I could not wait to go up to the top and ride down again! Aren’t so many moments in life like this? You take a deep breath, calm yourself and take a Leap of Faith. I hope she can’t wait to do it again.